Management: this year I began my first idol show. Idolmaster is good, y’all. Also, if you were expecting a serious post, look elsewhere. Spoilers for episode 20 of The Idolmaster. Now’s the time, to break through my trauma, to find my voice again. Oh no I still can’t sing! No we gotta believe in her! Thank you all, I couldn’t have done it without you. 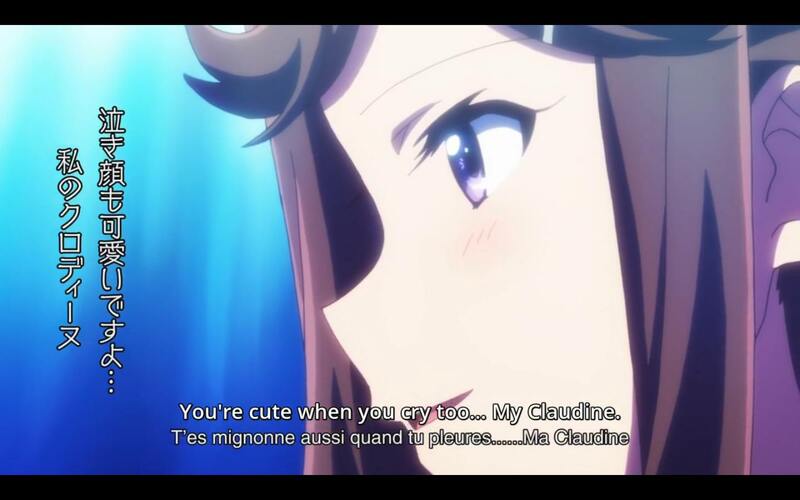 T’es mignonne aussi quand tu pleures, ma Claudine . TL: You’re cute even when you cry, my Claudine. As far as idol anime goes… Idolmaster is second only to my beloved WUG . And Chihaya’s is one of my favorite character arcs. Her performance in ep 21 always brings out the onion ninjas.